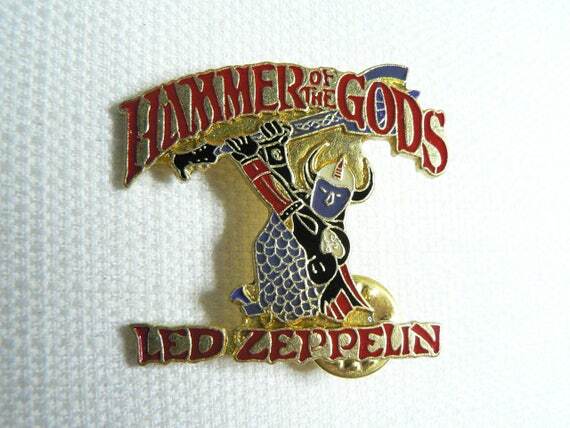 Check out this BIG vintage 1980s enamel Led Zeppelin / Hammer of the Gods pin! The pin measures 1.5 inches by just under 1.5 inches and it is in great condition for its age with some light wear. (Please see photos for more detail.) The pin is date stamped 1988 on its back side. And don't forget to check out our main site beatbopboom.com to shop the newer items that we carry!